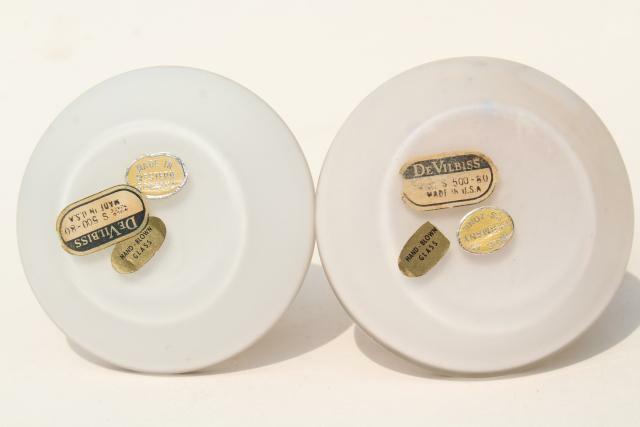 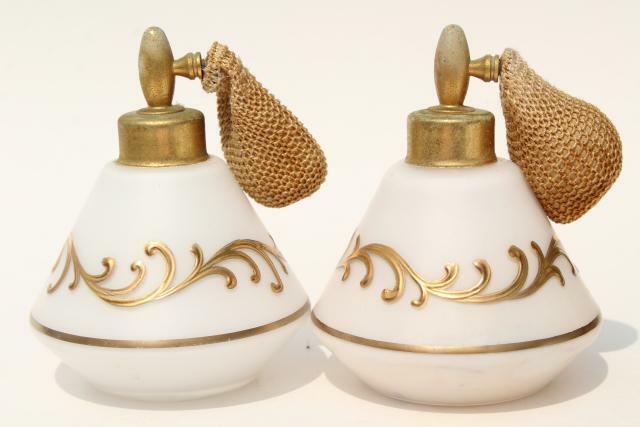 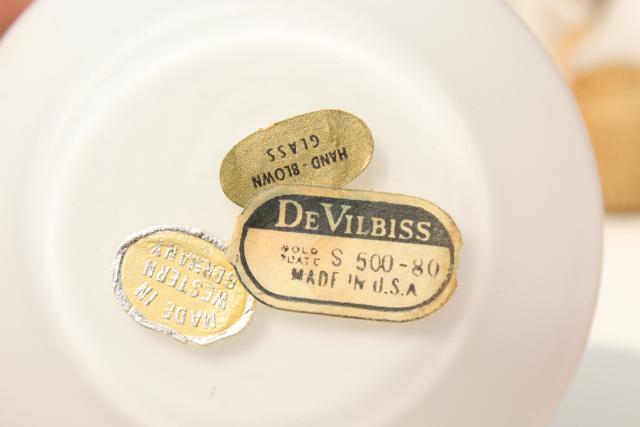 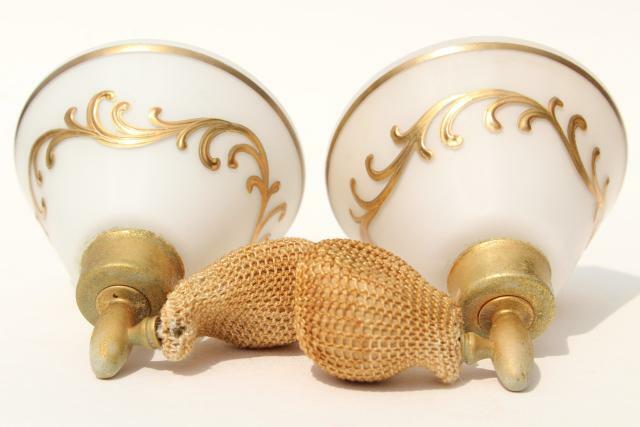 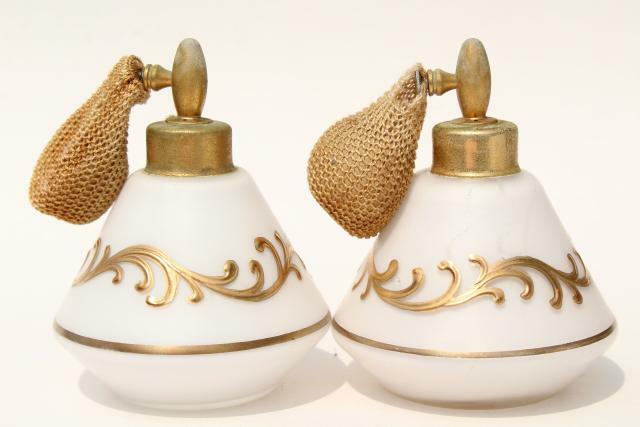 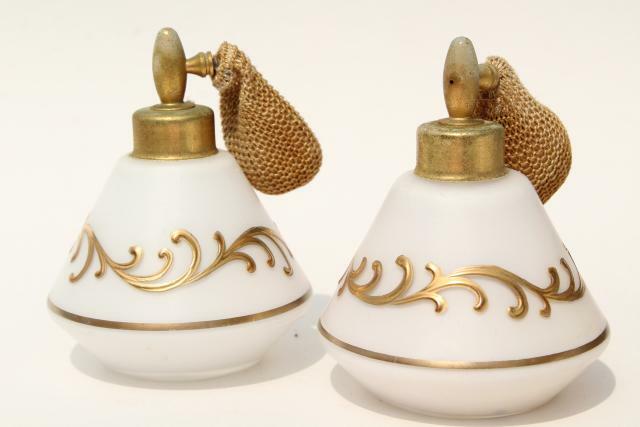 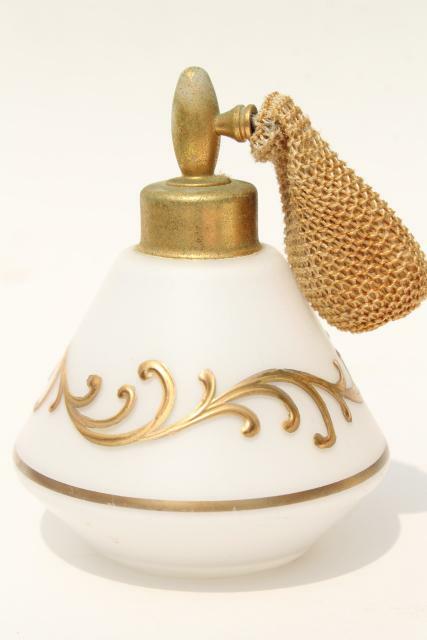 Pair of 1950s vintage DeVilbiss perfumes, marked Western Germany. 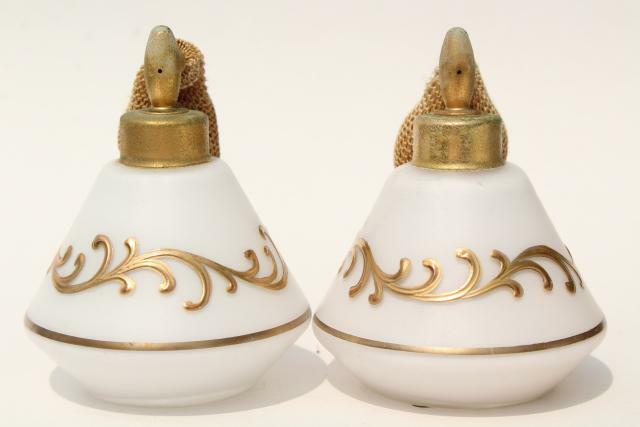 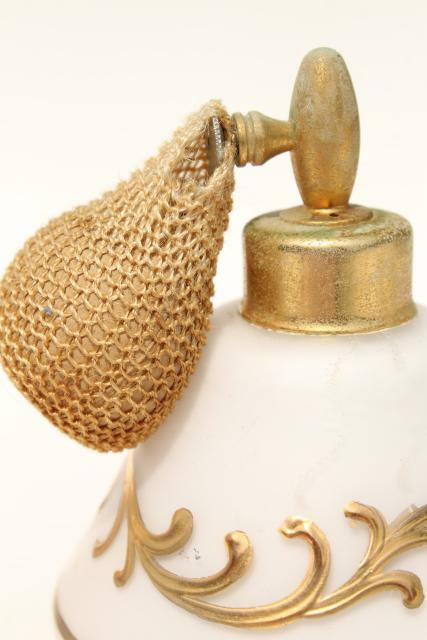 The gold decorated frosted glass bottles look excellent (probably never used). 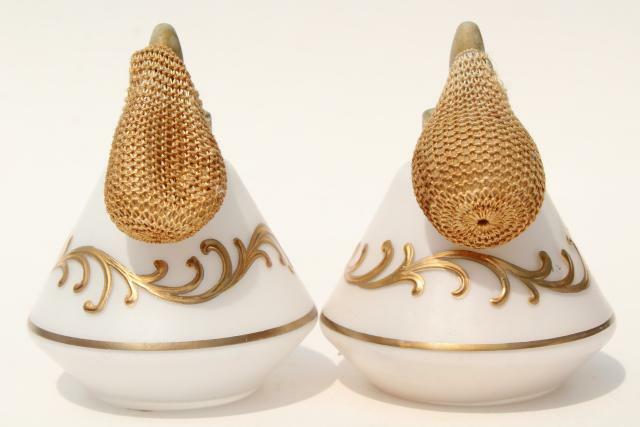 These are 3 3/4" tall. 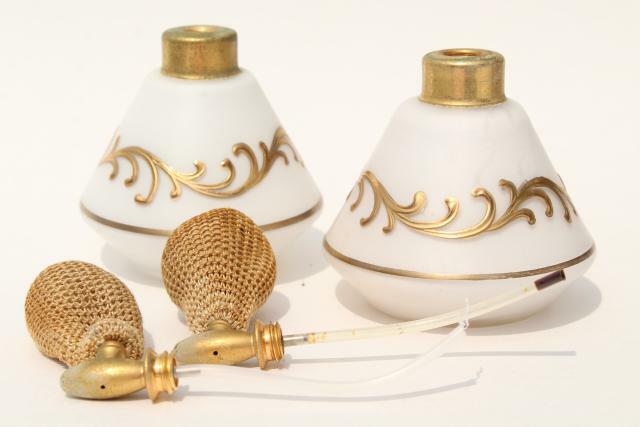 There's very little spotting to the metal (just a little verdigris or tarnish) though the rubber bulbs on the atomizers are not functional from age related damage.